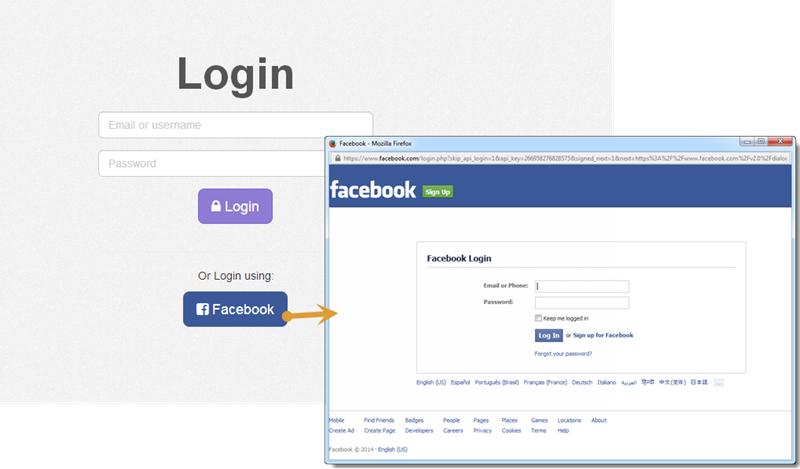 User clicks the login with Facebook button and popup window is loaded. Then, the user has options to select what they give to us. They click OK and it returns to the callback url (specified in app settings or passed in value). This is the debug return from back-end (the user does not see this). We can auto close the popup by checking in intervals for a popup window value, when it changes we grab it and close the popup. 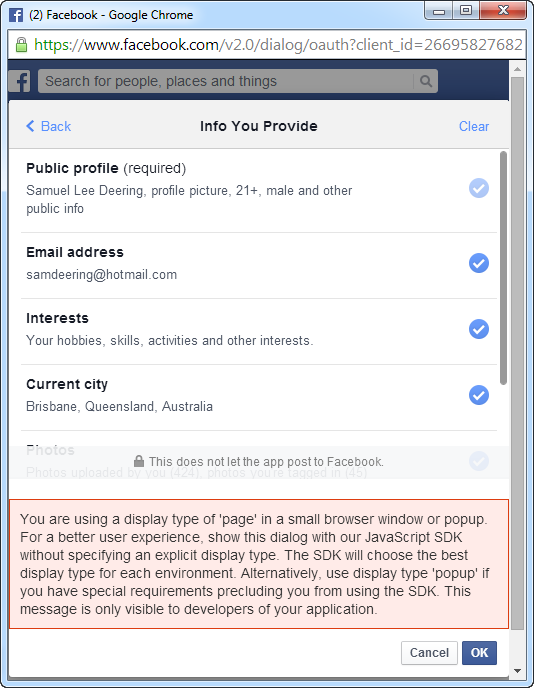 There is a strict cross origin (domain) policy which exists between parent window and child (the popup window). So we need to put the check in a try and catch the error so we can continue to check for completion of the auth. 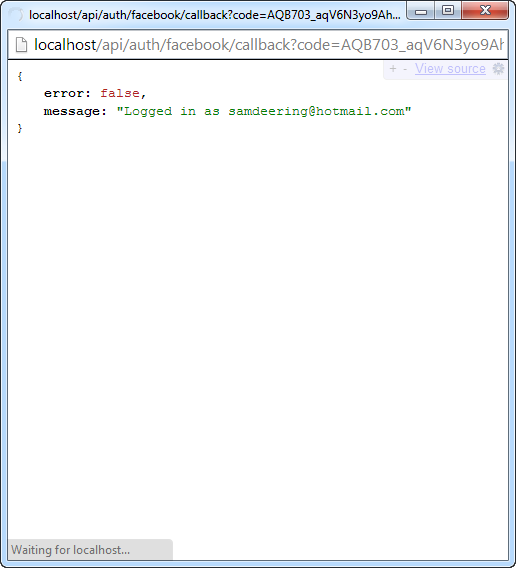 The facebook auth returns a code parameter so when this is present we know it has finished and we can close the child and finish the login. 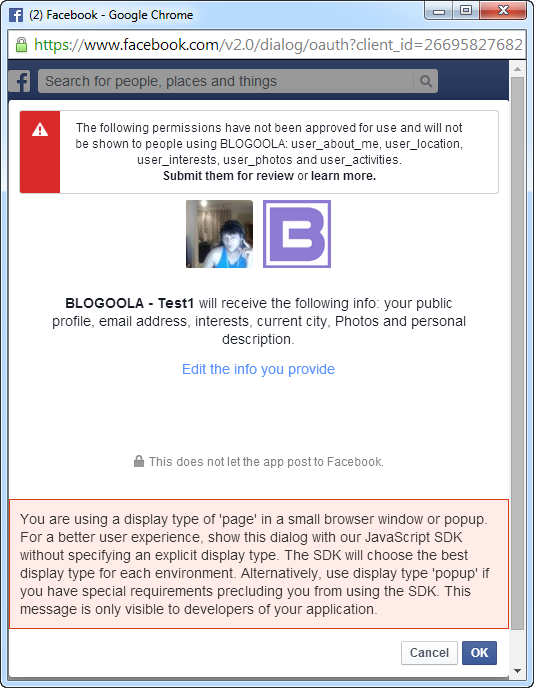 * socialAuth monitoring popup window for completion. If login was successful, we redirect to the home route. This will load in our user data from the back-end. I guess we need a bigger popup. 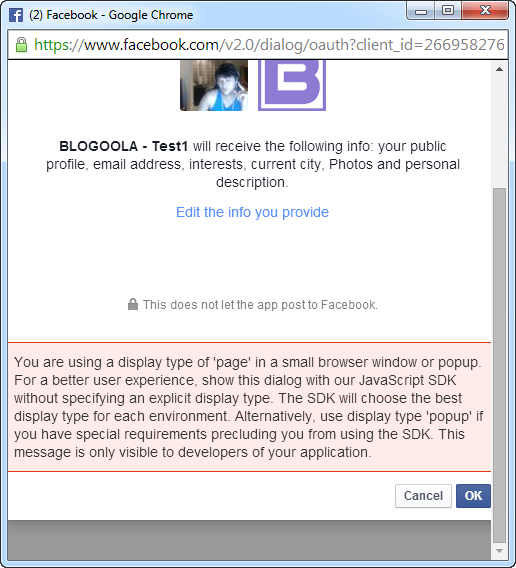 However “This message is only visible to developers of your application.” so no need to worry about it.